My Life, My Stories, Coloring Pages,and Fun! I know that all of my posts are not working and all my pictures have disappeared and I'm very sorry! I have a few ideas why, but I'm honestly not sure what happened to them all! So I've started new blog and I'm now making and selling Paintings as well as free coloring pages still! Here's is my new blog! Please follow and subscribe! I'm also on Facebook, Pinterest, G+, Twitter, and Etsy! All of my pictures on my blog have not been coming up. Instead it has been showing its little minus symbols. Obviously my blog has been acting weird. Have any of you been having the same issue? Like..are the pictures on my side bar working for you? Please help me by telling me what works and what doesn't!!! :) Sorry I've been a bit slow on my blog! I hope I can make more coloring pages and stuff after school is over in about a week! So be patient, I'll make more!! I've been getting comments about people asking me to make more coloring pages. Mostly Catholic ones of saints and religious ones. I'll be sure to make plenty of those!!! I've been taking art in school so hopefully my drawings have improved!!! Let me know what you think of them when I post some! Speaking of saint pictures, do any of you have any requests on what they want me to draw!? I'll do my very best on anything!! Comment and let me know! Like I said, I'm almost done with school here so I should be able to have a little more time to draw these. Can't wait! By the way, here some updates on whats new! ~I got my ears pierced (FINALLY!) They are fine so far. 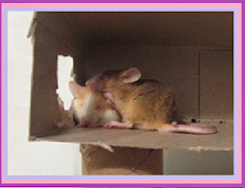 ~My mice are still alive!!! In fact, my aunt and uncle just gave me a new playpen for them to play in and my mice LOVE it. ~It's past Memorial Day but my grandmother's pool is still not opened!!! I WANT TO GO SWIMMING!!!! AHH!!!!!!!!!!!!!!!!!!!!!!!!!!!! ~Went fishing for the first time this year. Caught 4 fish. 3 largemouth one smallmouth bass. All four of them were like... less than 12 inches..BLEAH!!!! The big boys weren't biting I guess! See you guys around! Remeber! Comment and let me know if you have any coloring page requests! Giving up doesn’t always mean you’re weak, sometimes it means you are strong enough and smart enough to let go ​and move on. ~ A bad attitude is like a flat tire, you can’t get very far until you change it. You will never fully believe in yourself if you keep comparing yourself to everyone else. Instead, compare yourself to who you were yesterday. My Grandfather died 3 years ago in October at the age of 71. He died in his sleep after surgury. Pap was always happy. I remeber his warm hugs, his burgers from the grill, the pool in his back yard, his pipe, his delicious egg sandwitches and his laugh. I remember everything about him and I miss him the more I think about him. One thing about Pap that always stuck in my head was the fact that he loved to fish. I get alot of my love of fishing from him. But I never actually took a trip with him fishing. Right before he died though, he promised me a fishing trip. I'm still waiting for him to keep his promise. I miss Pap more than anything. He means everything to me. "When you are older, I promise to take you fishing," he said. "Oh yah!" he responded, "I promise!" The Band Perry ~ All Their New Songs Here! Here are some Jack Sparrow quotes I found!!!! ENJOY!!!!!! 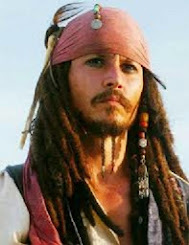 Jack Sparrow: Or you could surrender. 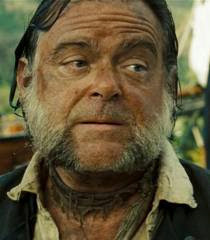 Elizabeth Swann: There will come a moment when you will have a chance to show it. To do the right thing. "I gotta jar of Dirt! I gotta jar of Dirt!" "Do you know how hard it was to catch that filthy pig? Not the big one, the...four legged one. 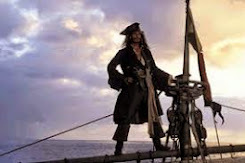 "The problem's not the problem the problem is your attitude about the problem.."
Jack: Thank Goodness for that, or else this would probably never work! Jack: Mr. Gibbs, you may throw my hat if you like. Gibbs: Aye aye, Captain! [throws hat] Hooray! Jack: Now go and get it. Will Turner: This is either madness, or brilliance. 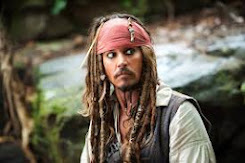 Jack Sparrow: It's funny how often those traits coincide. The Band Perry ~ NEW ALBUM!!!! I love Tha Band Perry!!!! They finally came out with their SECOND album on April 2!!!! Here is 2 of the songs that are on it! CAN"T WAIT TO GET IT!!!! On March 28, my fish Toothless had his B-day!! Me and my younger sisters had a birthday party for him in my room!!!! Hannah, Naomi, and Abby in front of Toothless's tank! Abby giving Toothless his presant. Hannah giving Toothless his presant. We fed him his *NEW* food! My snail, Steve died. Not sure why, Just did! :( The Fish tank will never be the same!!! 7 Things You Shouldn't Do Before Bed! Oh, the power of a good night’s sleep. A whole gamut of positive benefits can be seen from getting enough rest, but for many of us, hitting the sack can be challenging. There’s plenty of advice out there about what to do to get to sleep but what about what not to do? No, you don’t get to ditch your yoga mat or running shoes all together. Exercise is a vital activity for your health, and can actually contribute to getting better-quality sleep. The problem, though, is that exercising within three hours of bedtime can raise your body temperature, and make dozing off more difficult. Breaking a sweat, then, is best left for earlier in the day! Studies have shown that pre-slumber screen time can impede your body’s ability to fall asleep. The likely culprit? Well, the bright lights of these screens can hinder the development of melatonin, the hormone that promotes sleep. So close that laptop and turn off that TV about an hour before bed. Like exercise, hot showers and baths can actually help you fall asleep. The problem, however, comes out of taking one too close to the time you plan on hitting the sack. Being overheated or sweating can make it difficult to sleep. Let your body cool down before heading off to bed. Caffeine, of course, and alcohol both make it difficult to get a good night’s rest. But drinking a lot of any liquid within the last hour or two before you go to bed will lead to those dreaded late night bathroom breaks, and further disrupt your slumber. You shouldn’t go to bed thirsty, however, as you’ll likely wake up in the middle of the night to get a drink of water. Balance is key here. Whatever work or school issue it is, it can certainly wait until morning. Getting work done stimulates your brain and can cause you unneeded stress — pretty much the opposite of what you want to feel if you’re trying to fall asleep! Many of us have done this: you’re reading a really interesting novel and you tell yourself, “Oh just one more page!” Suddenly, it’s 2AM and you have to be awake in four hours. Yep, reading a really interesting book, essay or novel before bed will make it difficult to get to sleep. Perhaps you can remedy it by finding the most boring thing imaginable to read?! You’ve probably heard the phrase, “don’t go to bed angry.” And, as it turns out, it’s totally accurate! Research has shown that sleeping directly after a fight or traumatic experience will effectively preserve your emotions until you awake. The human body is adverse to falling asleep in dangerous situations — it’s a defense mechanism. Thus, you’ll have a much harder time falling asleep after a big blowout. It’s best to resolve conflicts before you hit the sack. 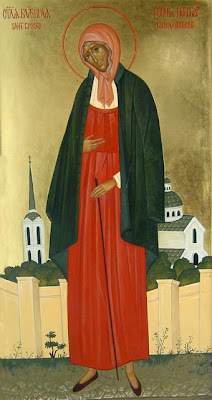 Saint Xenia ~ Ever hear of her? I Never Did! IN THE NAME OF THE FATHER, SON AND HOLY SPIRIT. HERE RESTS THE BODY OF THE SERVANT OF GOD, XENIA GRIGORIEVNA, WIFE OF THE IMPERIAL CHORISTER, COLONEL ANDREI THEODOROVICH PETROV. WIDOWED AT THE AGE OF 26, A PILGRIM FOR 45 YEARS, SHE LIVED A TOTAL OF 71 YEARS. SHE WAS KNOWN BY THE NAME ANDREI THEODOROVICH. MAY WHOEVER KNEW ME PRAY FOR MY SOUL THAT HIS OWN MAY BE SAVED. AMEN. Who wrote it, no one knows, but this is all we know about the early life of Blessed Xenia: only that she lived during the reigns of the Empresses Elizabeth Petrovna and Catherine II and that she was married to the imperial chorister, Col. Andrei Theodorovich Petrov. From this latter fact we may assume that she was of the lesser nobility. March 13, 2013 – SPACE - A comet visible to the naked eye will streak across the night sky in North America tonight, and if you’re lucky, you can see it for yourself. Comet C/2011 L4 PANSTARRS is an icy ball of dirt currently located about 30 million miles from the sun. It will appear in our night skies all month long, but if you want to see it without the aid of binoculars or a telescope, tonight’s your best bet. GOD BLESS OUR NEW POPE!!!! I can't believe how fast the cardinals were able to elect a new pope!!! Blessed be God!!! I don't know much about it because we don't get EWTN, but I know a lot of people who do know a little on it. Go visit Nick's Blog to learn about our new Spiritual Leader! Or you can head over to my Moms Blog and learn about the Papal Insignia!!! Here are some Pictures I found of our new Pope!!! Argentine Cardinal Jorge Mario Bergoglio has been elected by his peers as the new pope, becoming the first pontiff from the Americas. He has chosen to be known as Pope Francis. The 76-year-old has spent nearly his entire career at home in Argentina, overseeing churches and shoe-leather priests. This is a very interesting song! XD She did a good job singing it! BUT MAN!!! SHE NEEDS TO GET RID OF THAT TRAIN!!!!! I found this TOTALLY HILLARIOUS!!!!!!!!!!!! Please watch ALL THE WAY THROUGH!!!!! I was looking for some songs when I noticed a new Band Perry song! Here it is. 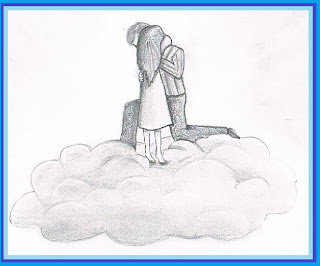 I love it!!!!!!!!!!!!!!!!!!!! I nearly screamed! I love The Band Perry! That is what your hair looks like!!! I'm a Homeschooled, Roman Catholic teen and I LOVE PIRATES OF THE CARIBBEAN!! I Have one fish (Toothless), A snail, and a mouse name Rhody! (Short for rodent) I hope to get more TOO!! I hope you like my blog. Besides pets, I also love to draw! So you'll find plenty of coloring pages here. I hope you enjoy visiting. PLEASE! LEAVE A COMMENT! They really brighten up my day! My Visitors. Are you on here? Book Worm Bookmark Craft ~TOOoooo Cute!! The End... or the Beginning? © I made these coloring pages. Taking them as your own is called STEALING!!!!!!!!!!!! . Picture Window theme. Theme images by MichaelJay. Powered by Blogger.